Clearing games from your console to make room for new ones? 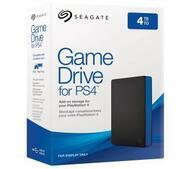 End the struggle and keep a massive collection with Game Drive for PS4. You can easily store 100+ games with 4 TB, or 50+ games with 2 TB. That's enough room for the classics and the hottest new releases.